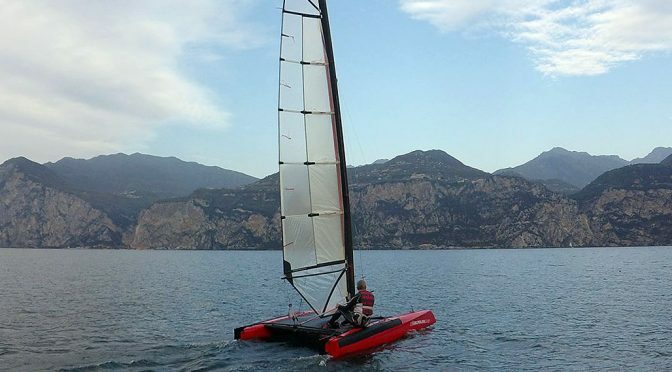 An underlying principle has been to provide affordable and sustainable technology ‘trickle down’ to other sailing classes and yachts. 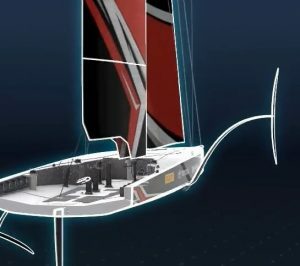 Whilst recent America’s Cup multihulls have benefitted from the power and control of rigid wing sails, there has been no transfer of this technology to the rigs of other sailing classes. 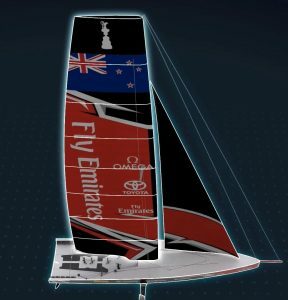 In tandem with the innovations of the foiling system, Emirates Team New Zealand and Luna Rossa are investigating a number of possible innovations for the AC75’s rig, with the requirement that the rig need not be craned in and out each day. 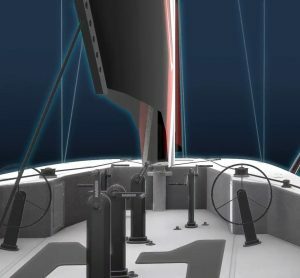 This research work is ongoing as different concepts are evaluated, and details will be released with the AC75 Class Rule before March 31st, 2018. 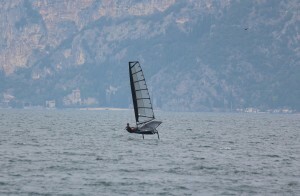 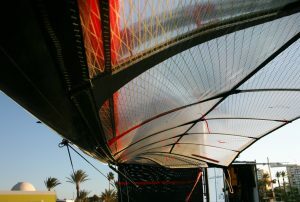 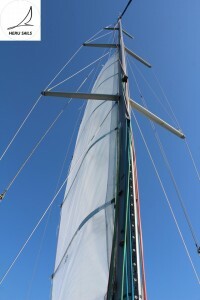 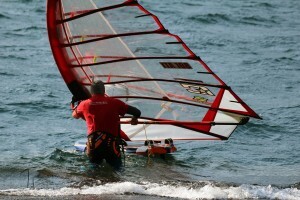 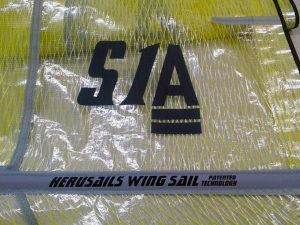 The development of the first production model wing sail has just been completed! 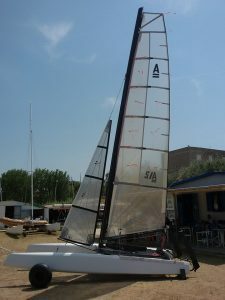 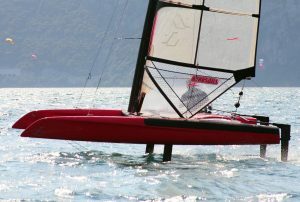 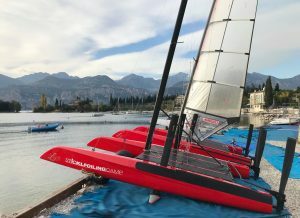 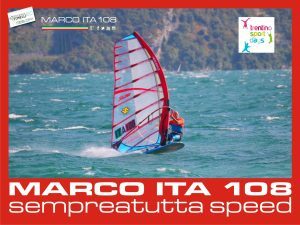 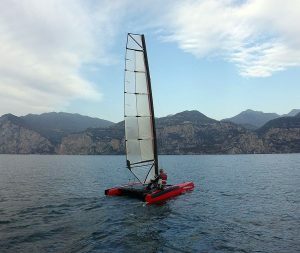 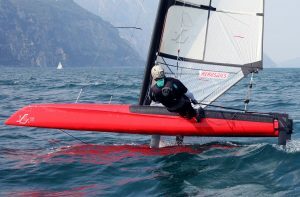 The Ifly15 by CEC Catamaran Europe Central with patented foil system, is the first catamaran to be sold as our production model wing sail. 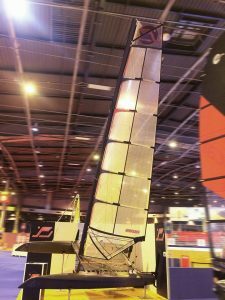 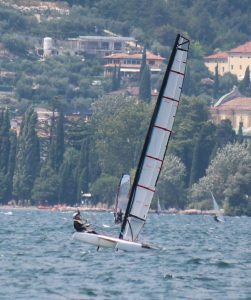 The development of this wing sail took almost a year and it began with the realization of a 14.8sqm wing sail on a 8.5mt mast; after many tests a final dimension was chosen: 12.5sqm on a 7.5mt mast. 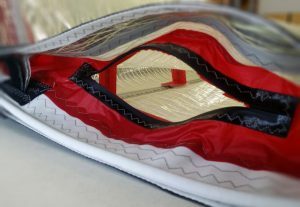 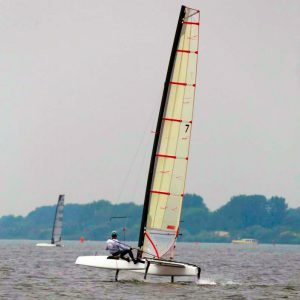 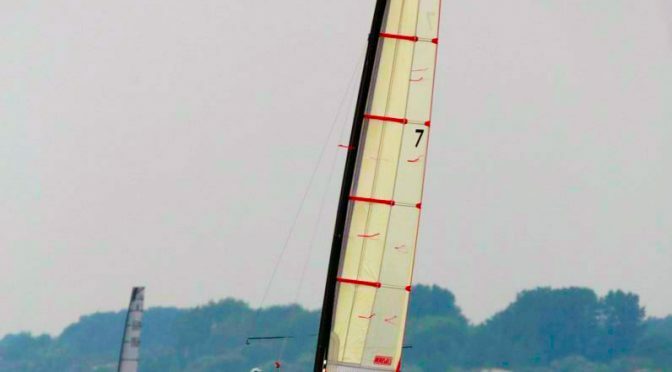 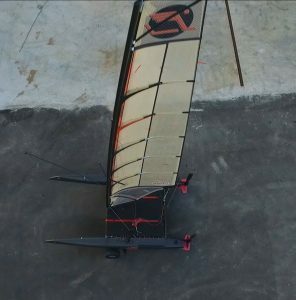 With its 6kg, our wing sail is fully sealed and it is realized with a standard laminate fabric with aramid fiber threads, carbon and fiber glass battens, 4 sections with variable airfoil profile, medium twist for all around performance. 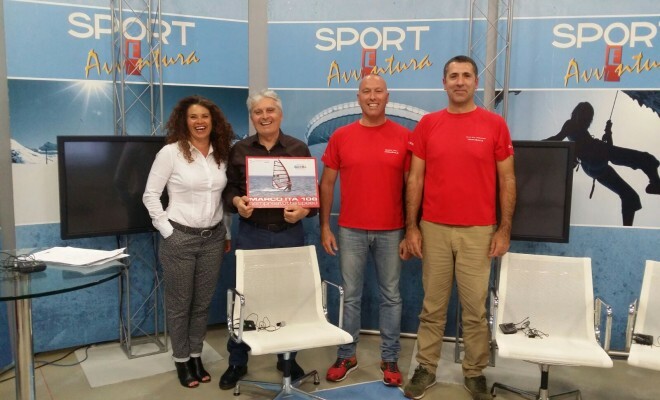 nel programma televisivo “Sport Avventura” in onda su TrentinoTv si parla di vele alari con Marco ITA108, Ginetta Matteotti e Giulio Iviani, conduce Paolo Malfer.